With the hull the right way up, the amount of blue surface is pleasingly less prominent. Good, it looks fine now. Notice the aluminum bumperstrip added. 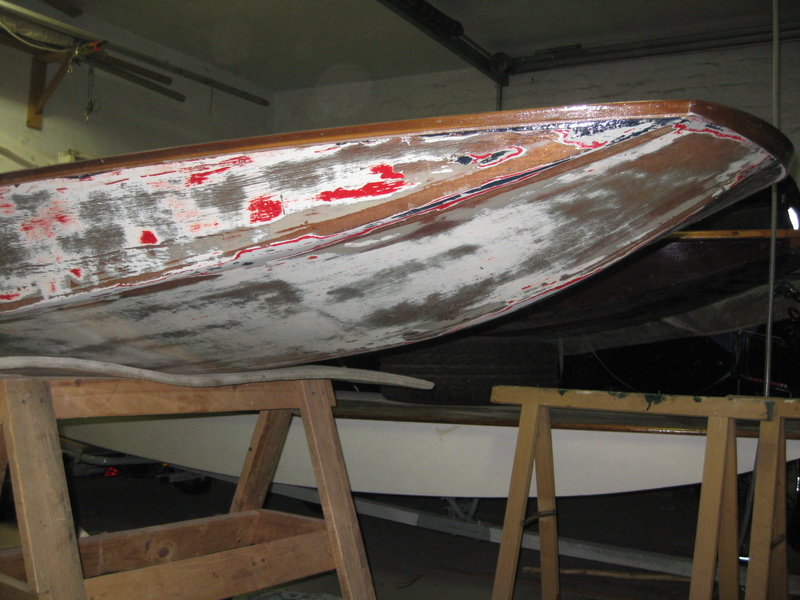 I wasn’t going to at first but after only six or seven days sailing the unprotected bow had taken a good beating. The bumper should take care of that. 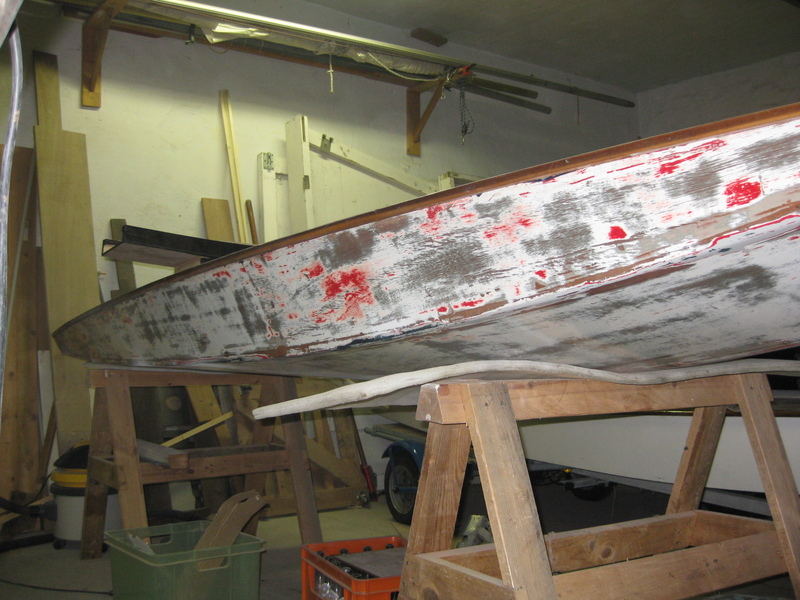 The leaks at the transom have been taken care of, some dents and bruises were buffed out, the split sliding seat base is mended (happened when trying to roll over the hull not knowing the seat extended). She’ll be fine for next weekend. 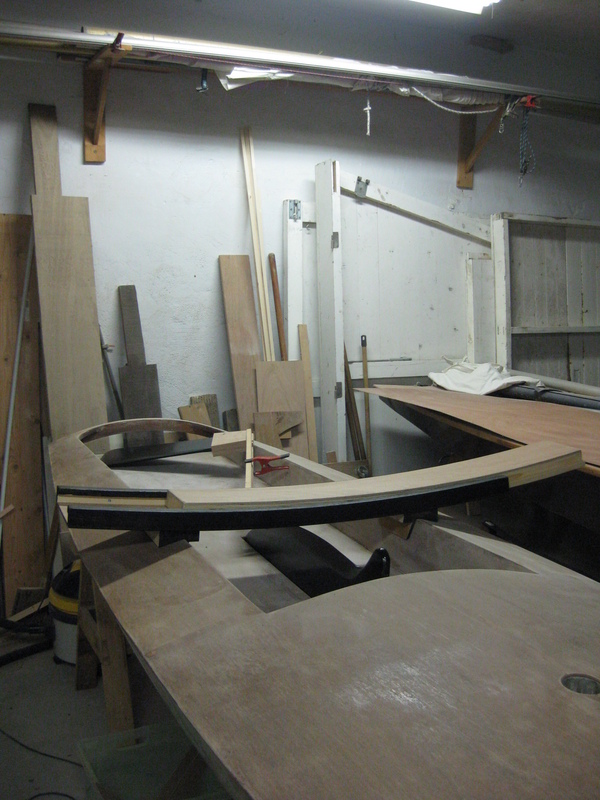 Approaching the expensive phase of the game: fitting blocks, pintles & gudgeons, eyelets and straps. 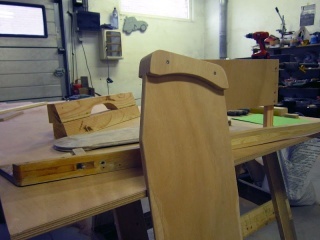 Still not just there yet, the sanding, gluing and painting continues. 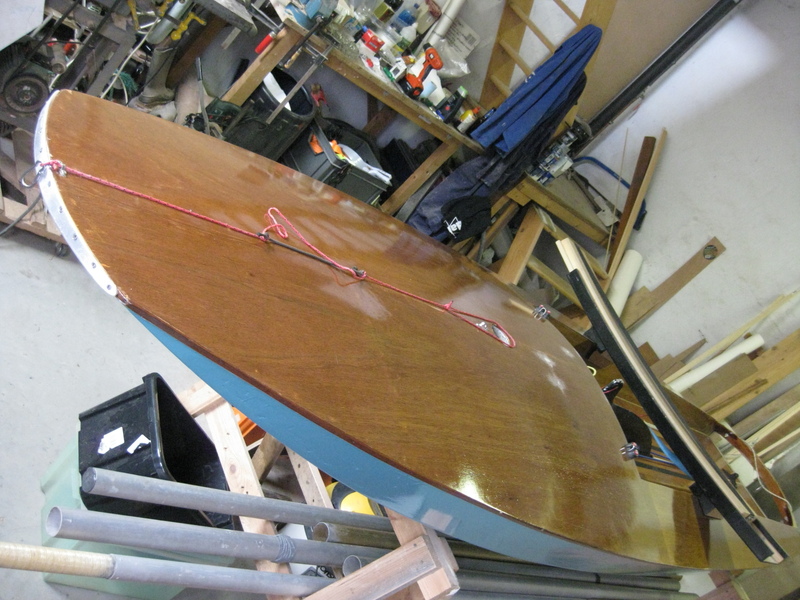 The hull had it’s first clear coat of epoxy. Turned it over and sanded the deck. 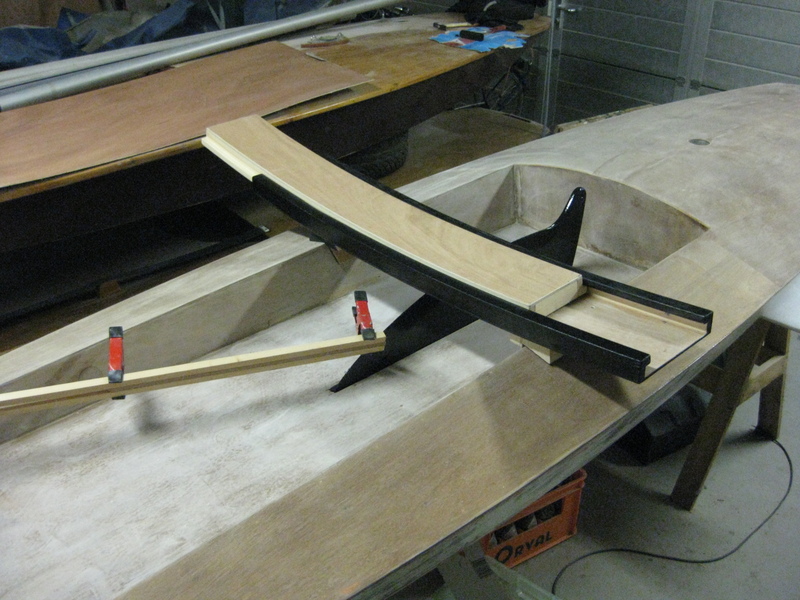 The centerboard slot needed a proper shave with the router. 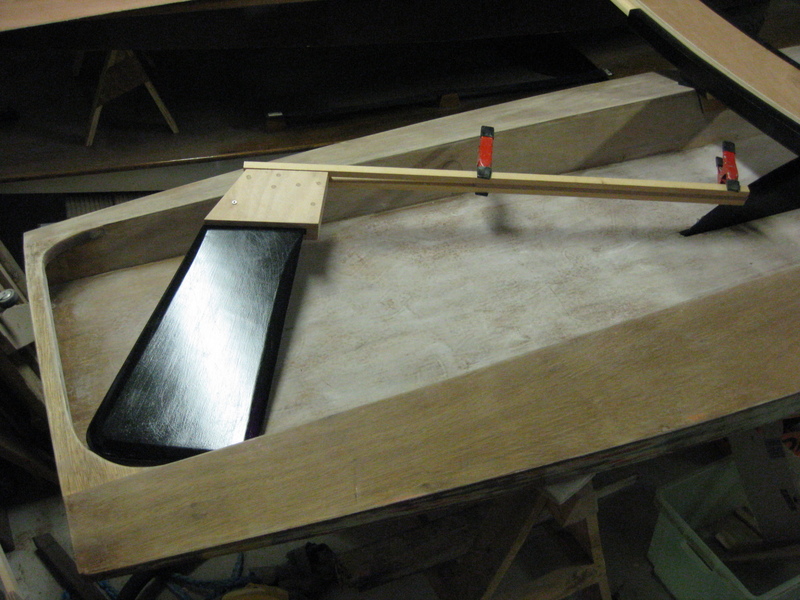 A new standard rudder rudder stock was glued, but I am not at all pleased with it. Though well made and new it’s one concern less on the water, it looks outdated and just wrong. The clumsy block of wood will need a replacement later on and I think to have found a lovely rudder design on an Imperial Moth to copy. 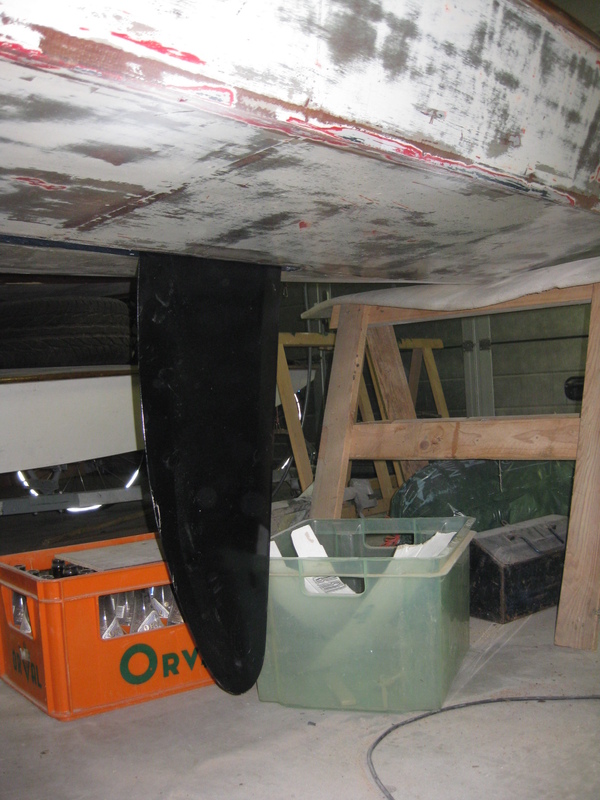 Rudder and center blade parts will look black, and white when the boat should occasionally be the wrong way up in the water. 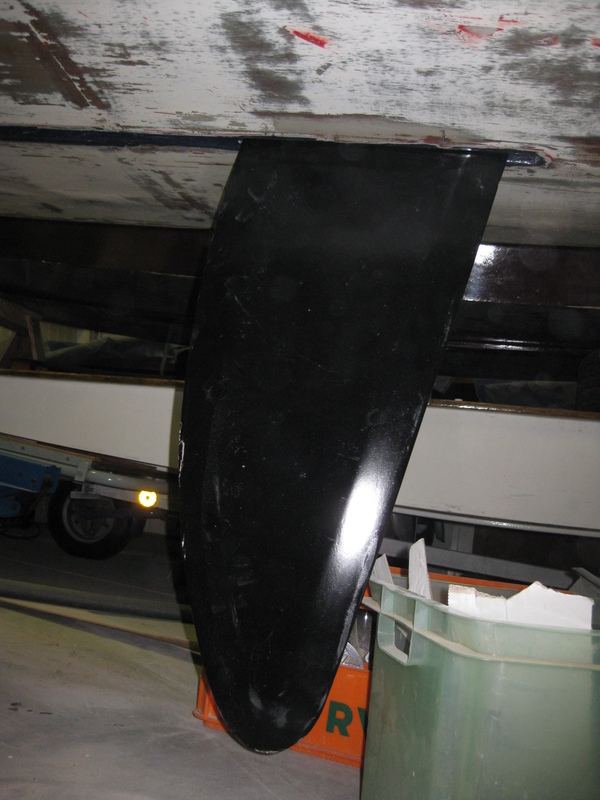 Yes the centerboard fell on the floor making a nasty dent in the sharp rear end. Bummer, will have to make that better. 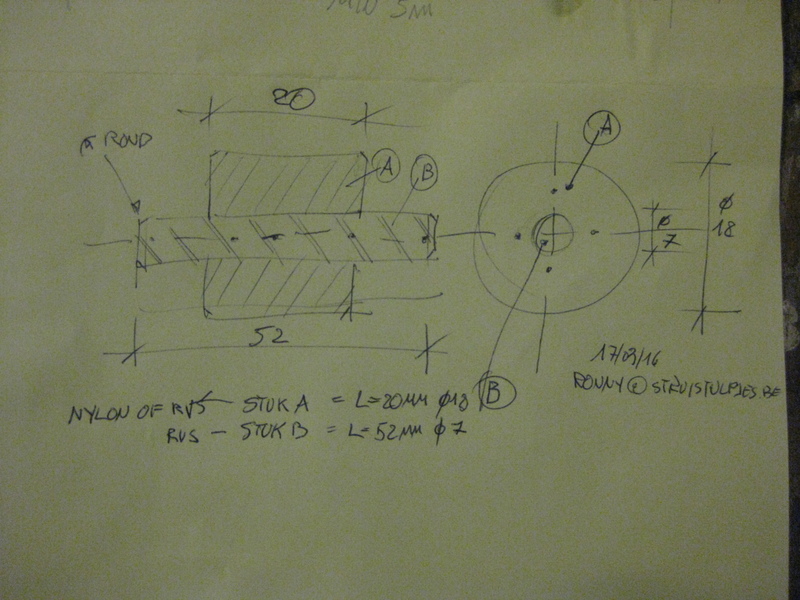 The original build instruction for wooden Sprites dates from the late 5ties, early 6ties.